2015_05-02 Late afternoon. near the Herring Run in Weymouth. 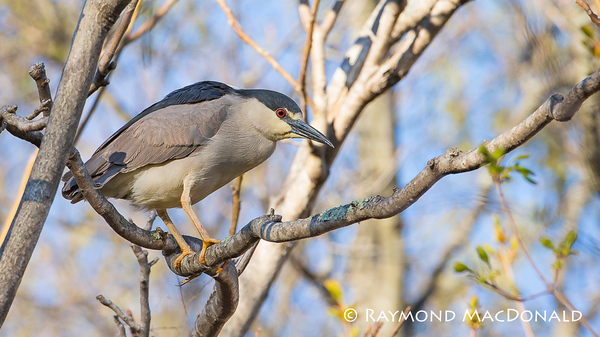 Black-crowned Night-Herons are stocky birds compared to many of their long-limbed heron relatives. They’re most active at night or at dusk, when you may see their ghostly forms flapping out from daytime roosts to forage in wetlands. In the light of day adults are striking in gray-and-black plumage and long white head plumes. These social birds breed in colonies of stick nests usually built over water.